A timeless Portuguese brick classic redesigned in 2017! Made in Portugal, loved worldwide. 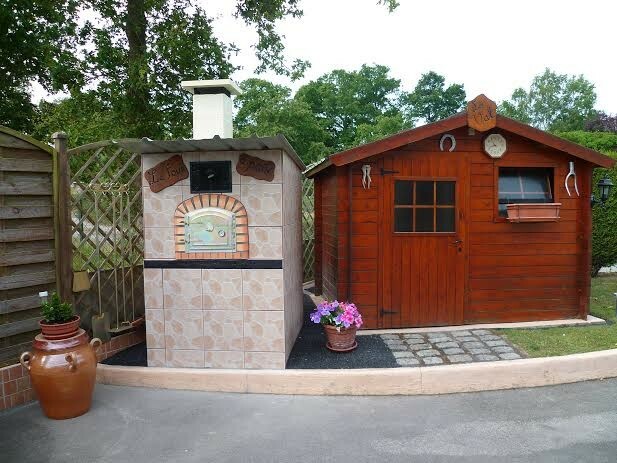 Our brick pizza ovens are not just from another continent: they are from another time! 1) The door is made from half inch thick cast aluminum! The new door has a glass viewing area to see the food while the door is closed, this obviates the need to frequently open the door and helps retain the temperature. Door opening is 16" wide. Note the air control at the bottom - very easy to use - just swing from left to ringht. And finally: the door has 2 holes to support rotisserie spits. 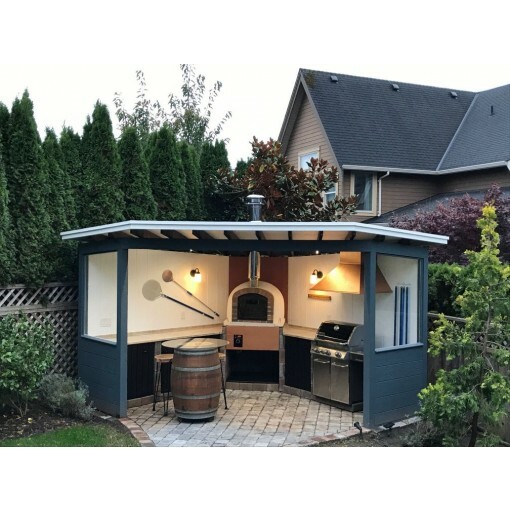 We sell an optional rotisserie kit here. 2) The floor is made from firebricks and NOT clay tiles like many other Portuguese ovens! 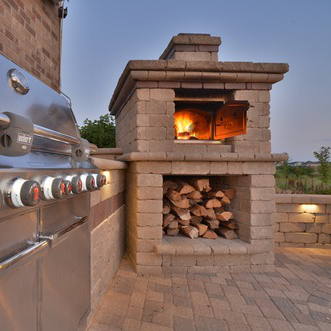 Firebricks are thicker and more durable than clay tiles and heat up better, this means crustier bottom. 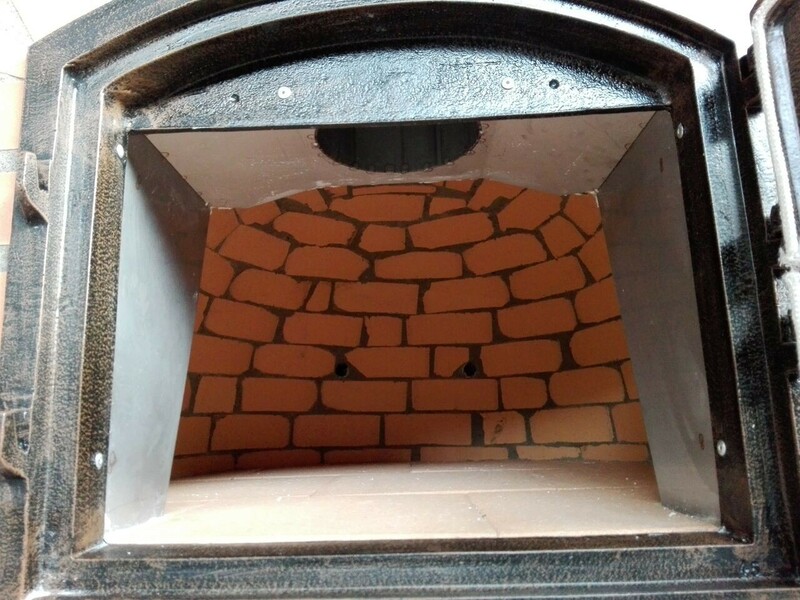 3) The arch is made from full brick, not half-bricks like other Portuguese ovens. A deeper landing area is very convenient. 4) The dome is made from white refractory bricks, not Portuguese clay bricks. Very crack-proof and excellent heat reflection. 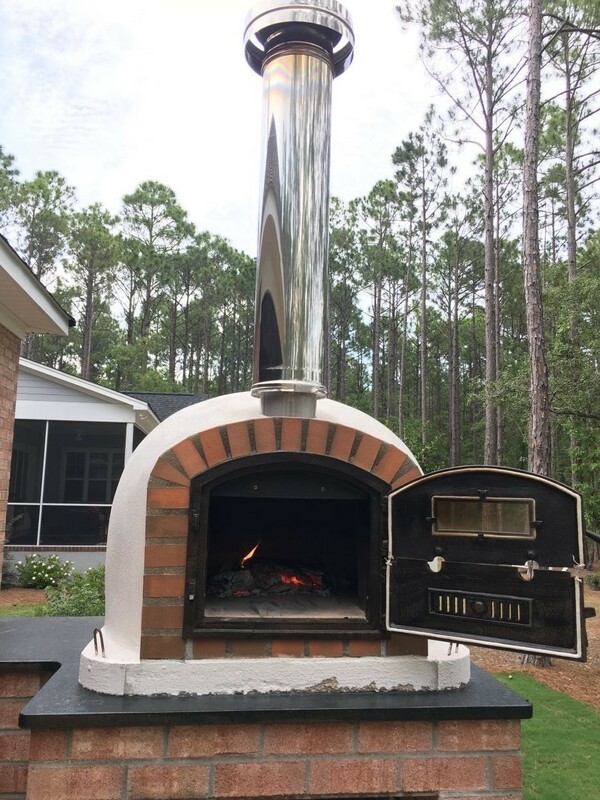 5) The short chimney is now stainless, no rust! 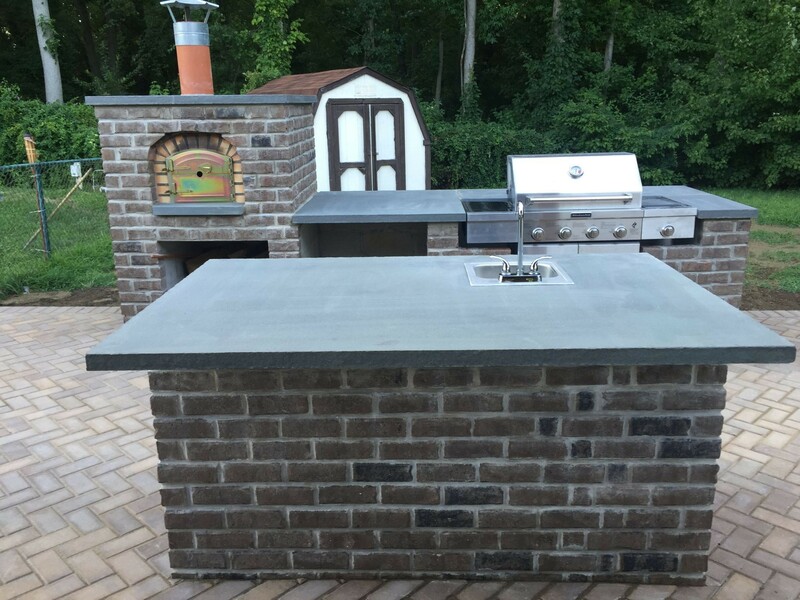 6) There is also new refractory cement used to cover the oven on the outside. 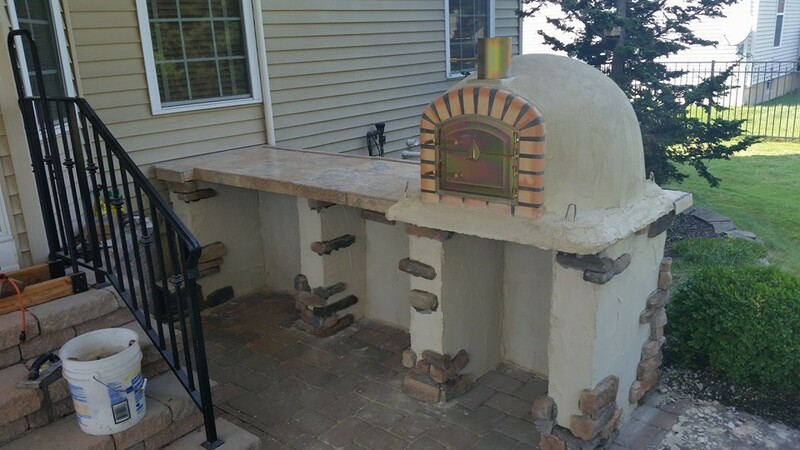 The other great features are still there: the oven is very easy to re-finish on the outside with your choice of veneer (stucco, paint, tiles, stone, etc) or you can just leave it "as is". 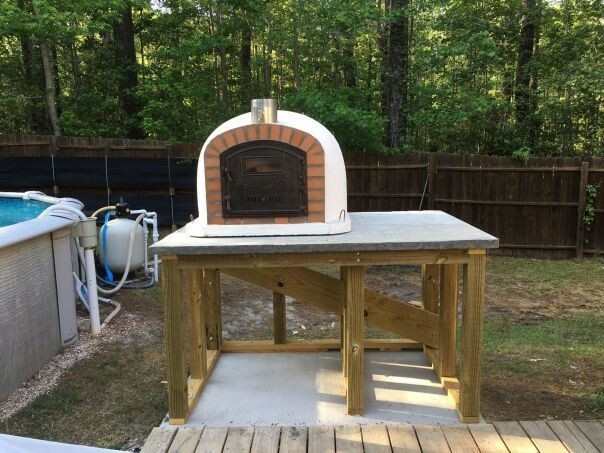 The oven is 39"x39" on the outside, approx. 31" in diameter on the inside, and about 30" high on the outside. The weight is approx. 1400 lb. 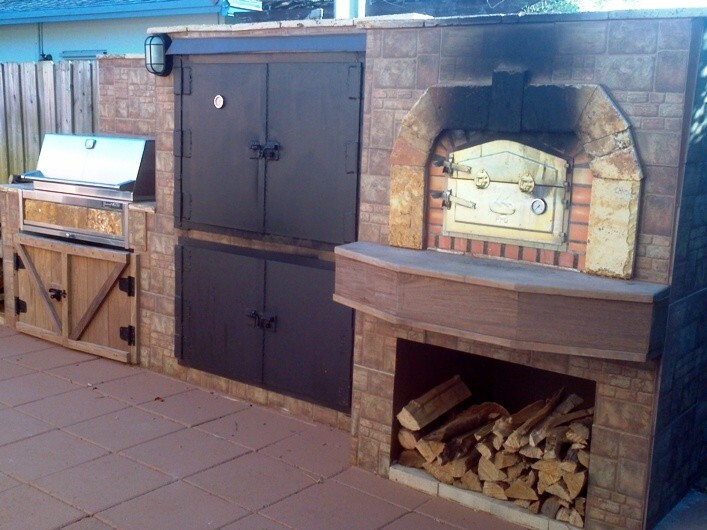 What's the difference between this oven and the other Portuguese brick oven that we have? In general they work the same way. 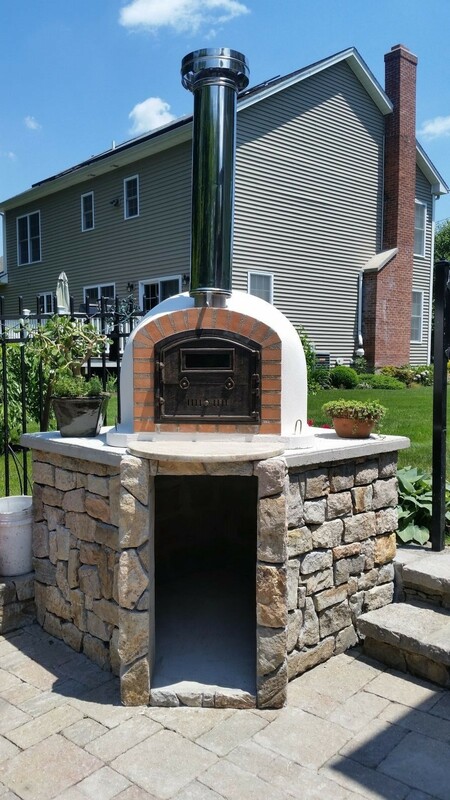 The Classic oven has a nicer and more functional door and is easier to re-finish on the outside. 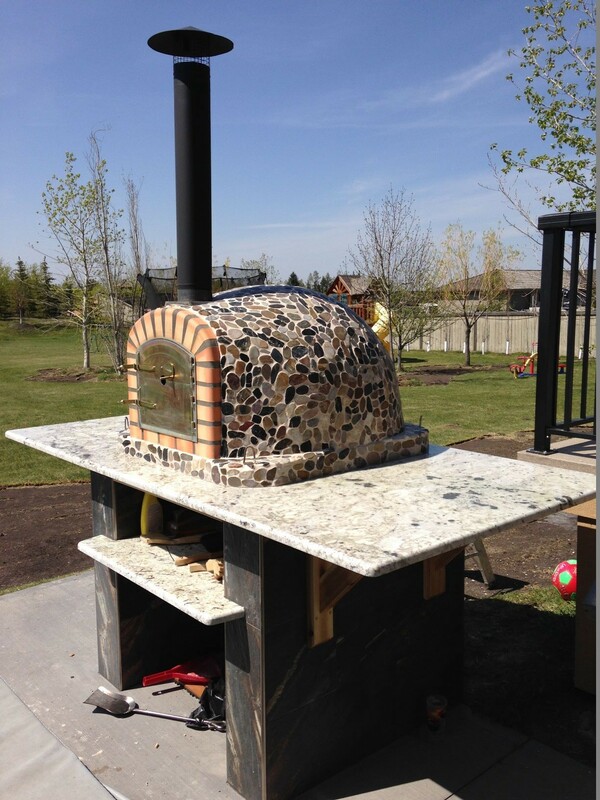 On the other hand, the other oven is sprayed with cork and is a little larger on the outside - 43x43. It is also better insulated and doesn't get hot on the outside, while the outside of the Classic gets hotter. But overall it's a very similar cooking experience. The Design. 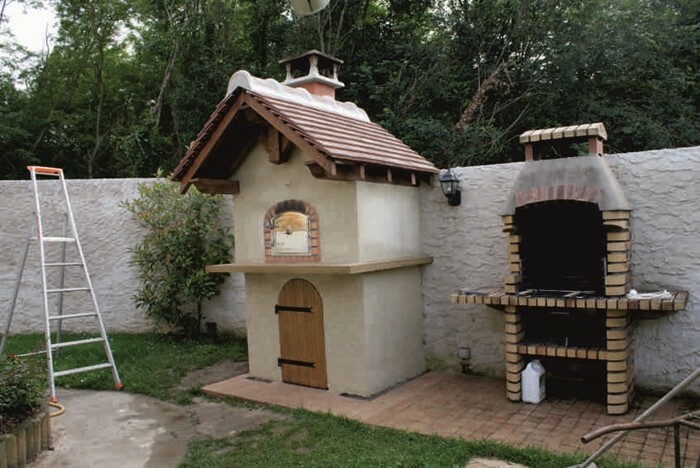 Wood fired brick ovens are as old as Portugal itself. 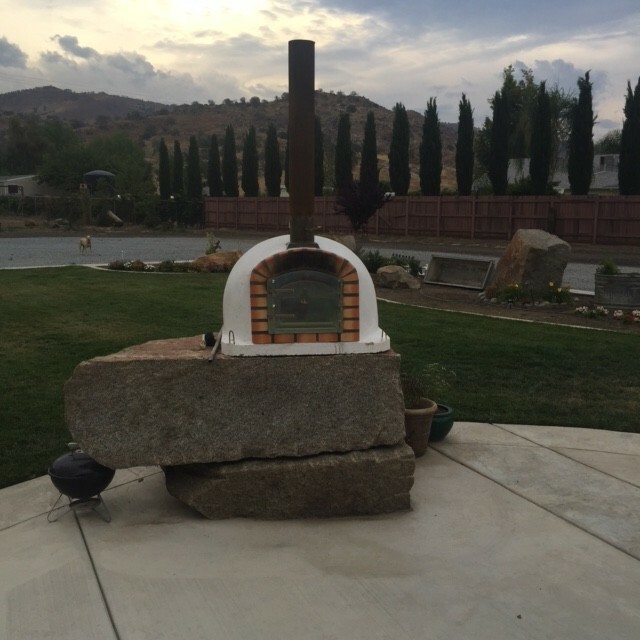 People have cooked in them for centuries passing an oven from generation to generation. 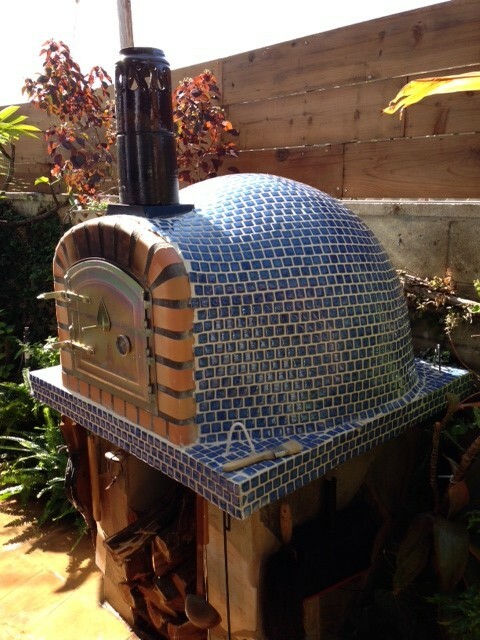 Amazingly though the traditional Portuguese oven has not changed a lot even in our age! Wonder why? Because it was perfect from the start! 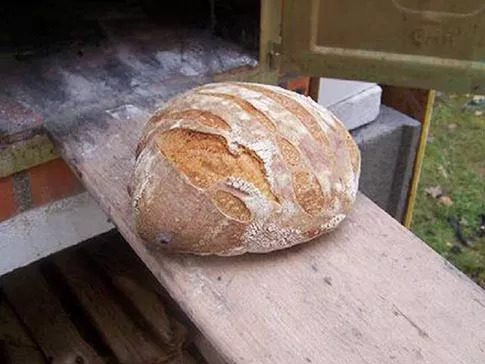 The design of traditional Portuguese brick ovens allows for perfect heat distribution inside the dome because of its multi-faceted inner surface: bricks radiate heat inside the oven at every possible angle, there are no cold spots! 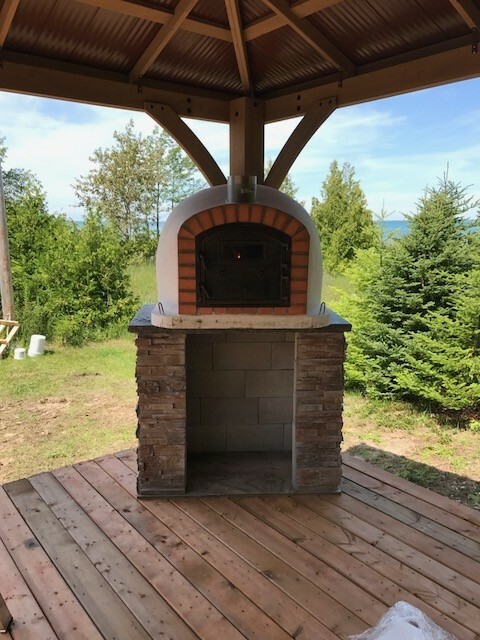 The higher dome of the oven allows for intense yet not damaging heat, perfect for baking! The Food. 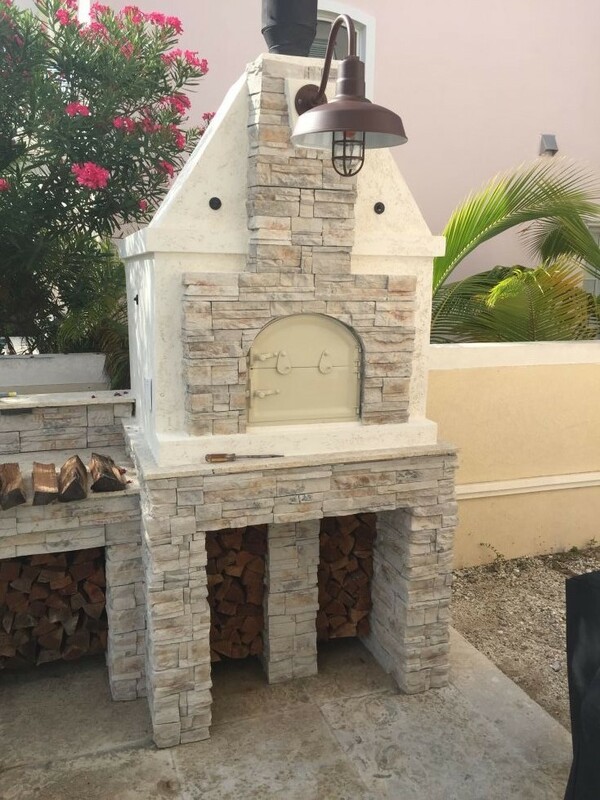 Our brick oven delivers a remarkable array of dishes: slow roasts, fish, paellas, stews, rice, vegetable, and of course bread and pizza. 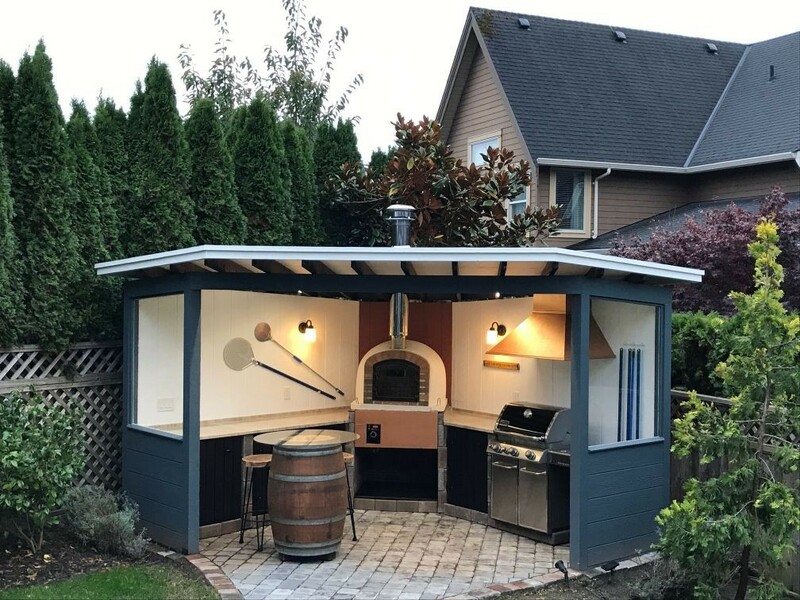 Originally the oven was not intended for pizza simply because pizza was not on the diet of a typical Braganza or Coimbra village family. However overtime it was discovered that these Portuguese heat machines bake amazing crusty focaccias and pizzas in just 2 minutes! The Construction. 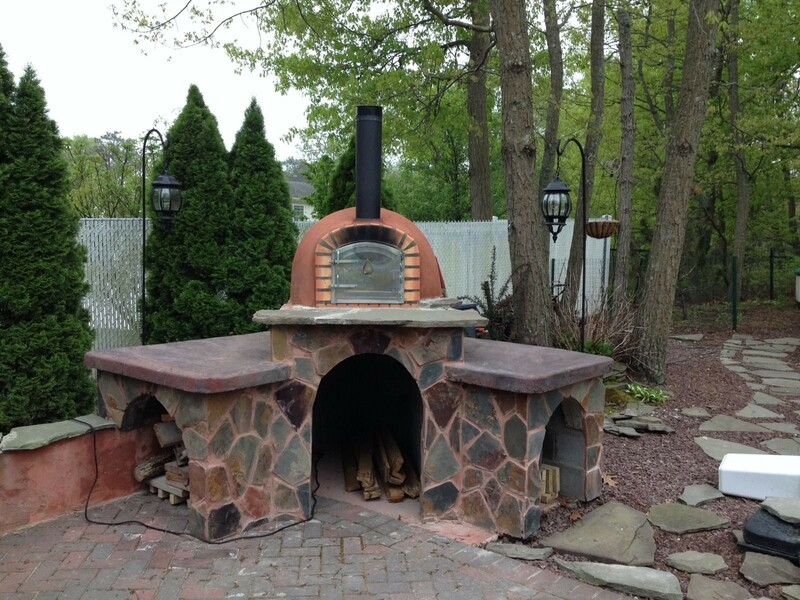 The Portuguese brick oven is 100% hand made. Care is taken to make the dome shape perfect for inside heat radiation. With the dome finished and chimney added the floor is covered with natural yellow sand and firebricks: this is your cooking surface. On top of this we insulate our ovens with a thick layer of rock wool! The effect of this is much longer heat retention & reduced exterior temperature. Rock wool is then overlaid with chicken wire and high quality refractory cement, smoothed and painted. 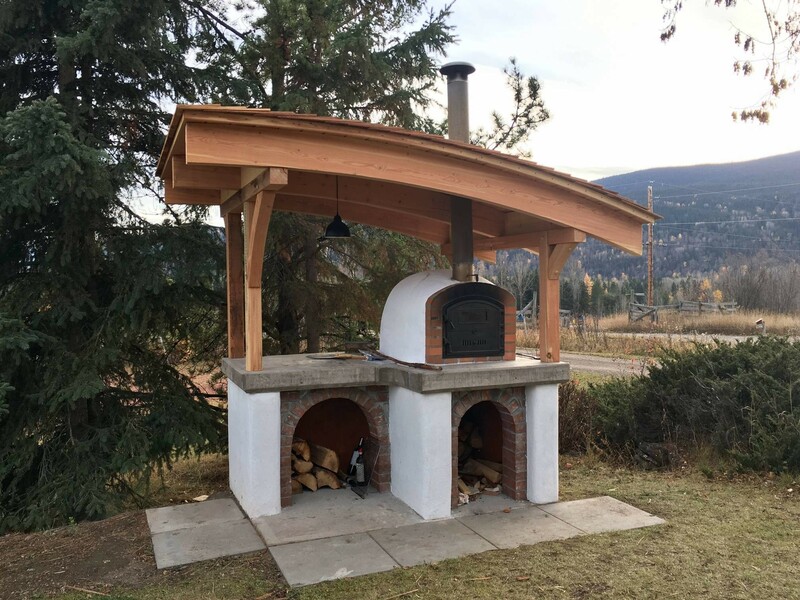 The oven is fully finished and can remain as is. 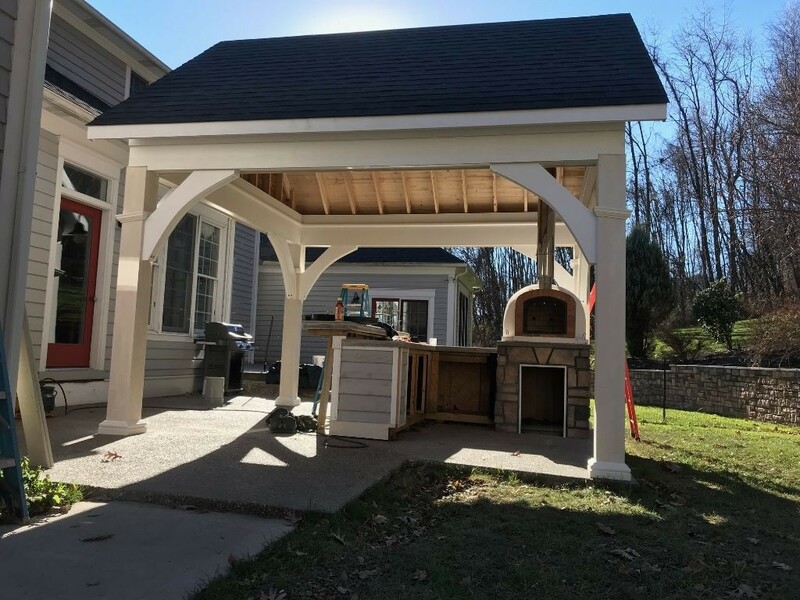 However if you wish you can easily refinish or enclose it. 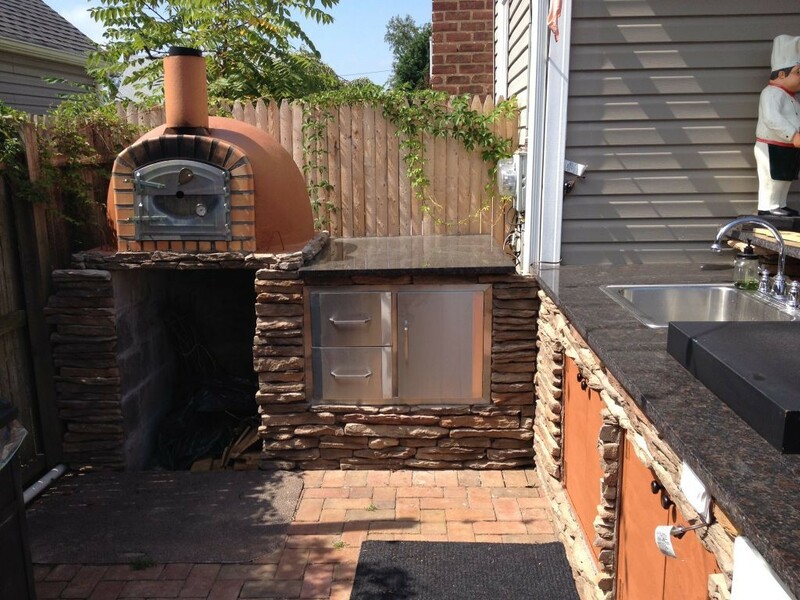 The oven comes with a special "Ultrafire" kit to patch possible exterior cracks. 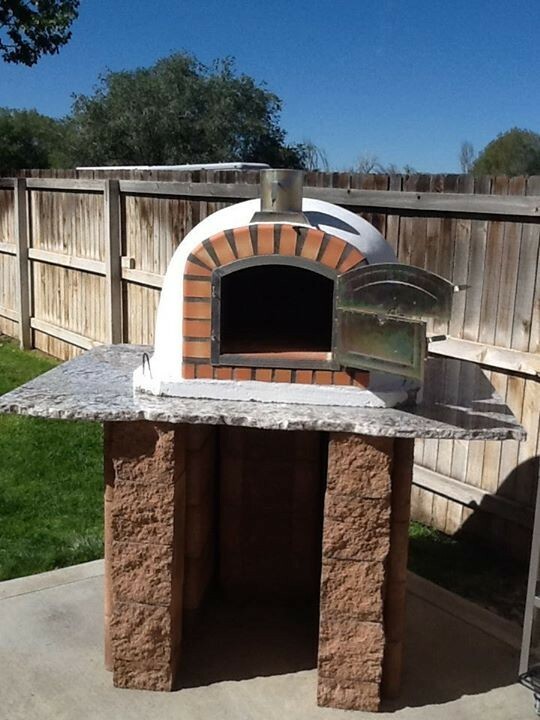 Hairline cracks are normal but minimal with this oven, they present no danger to the oven itself and will add to your reputation as an expert pizzaiolo! 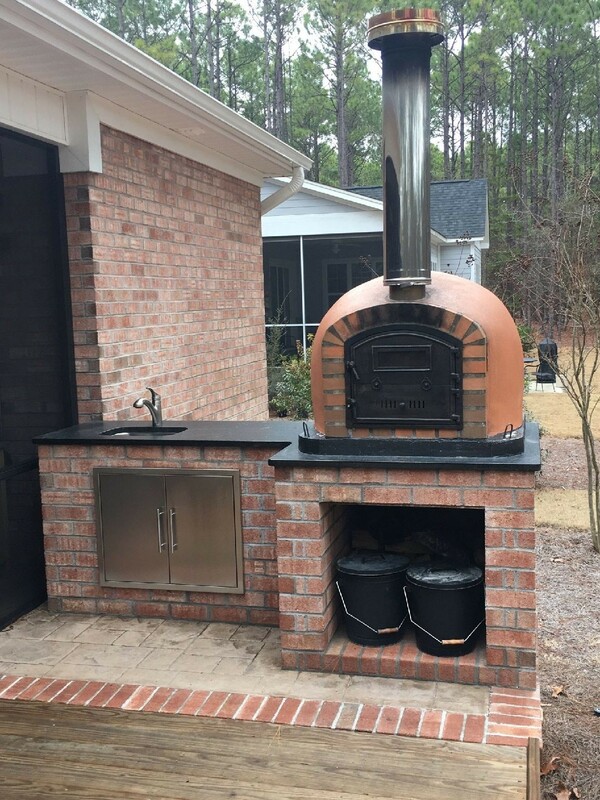 Like other brick and clay ovens this oven needs to be always covered against the elements when not in use. The Love. 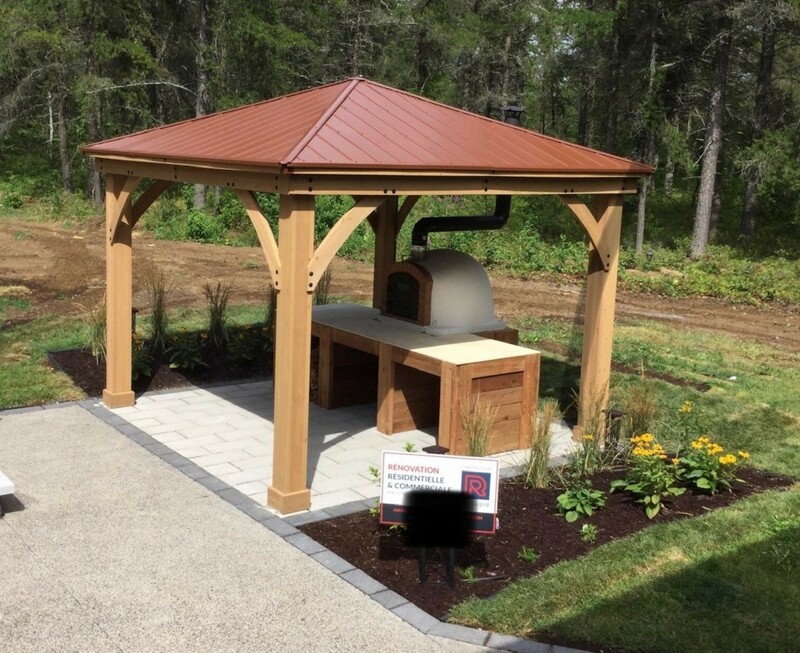 Our ovens were quickly recognized for their warmth, taste, and ambience, and found thousands of loving homes from Canada to Australia. It's a part of home, week-end, beers with friends, soccer game, backyard party, family dinners. In short: a part of life! 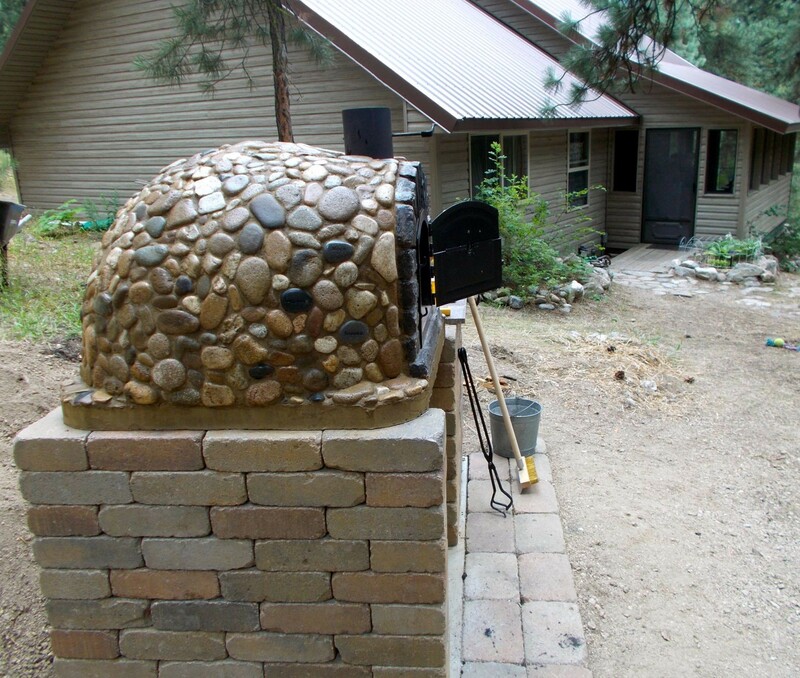 Watch how bricks, cement, and mortar turn into an intriguing combination of heat and taste! 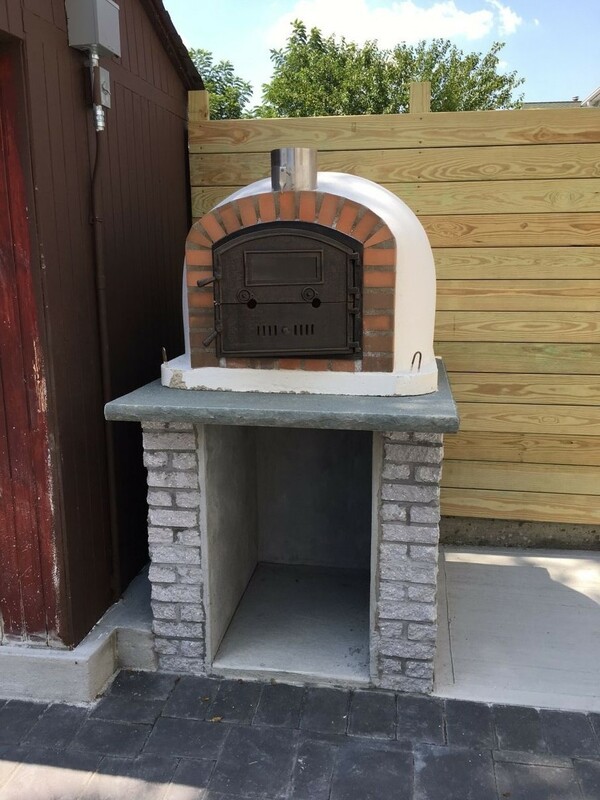 Our brick ovens are hand made in Portugal using hundred-year old techniques, decades of experience, and natural materials. How To Apply The Ultrafire Kit. 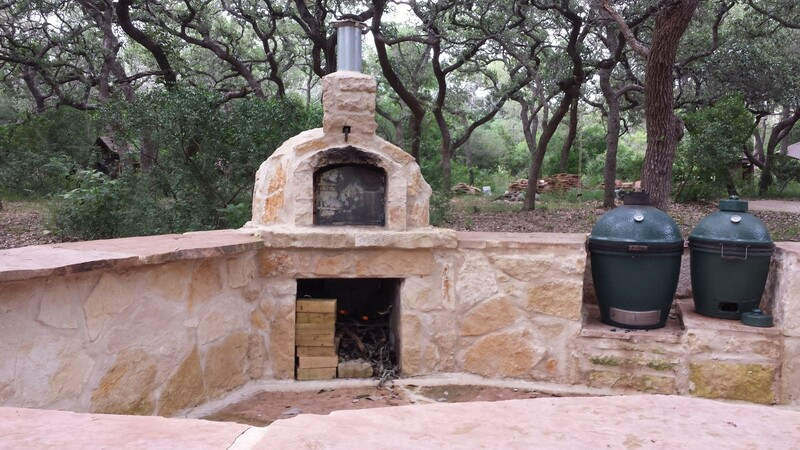 Our brick ovens crack a lot less than a typical clay brick oven. 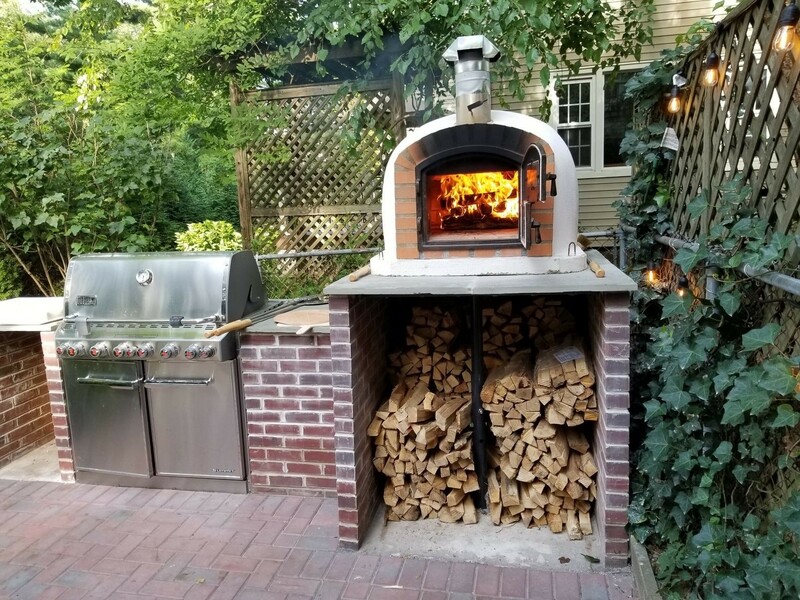 However since some degree of cracking is still possible each brick oven comes with our unique Ultrafire repair kit. 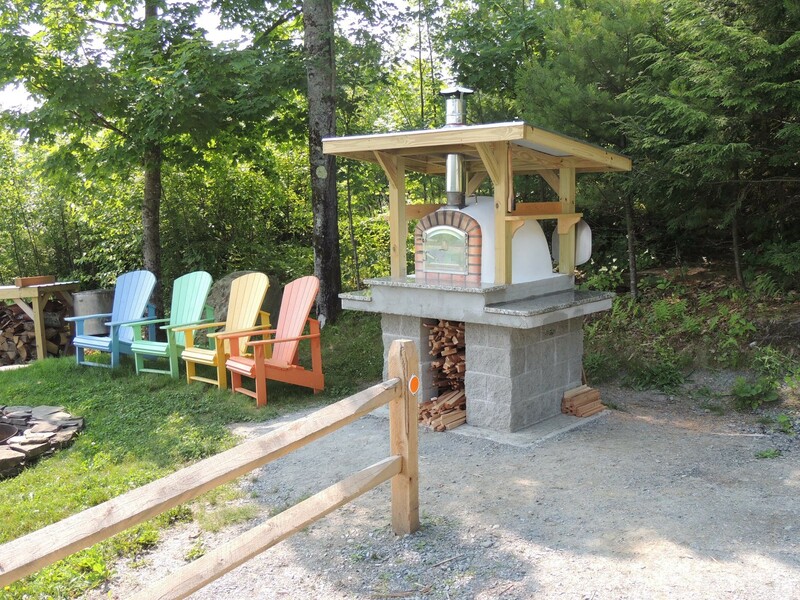 Each oven comes with a pail of specially formulated high heat mortar and a brush. First coat has to be applied to cracks only when the oven is hot and then a final scratch coat over the entire oven.